Fern Masse has been a basketball fixture in the Lewiston – Auburn area for more than 50 years. The long time coach of the Lewiston Blue Devils, Fern has earned the respect of the Maine basketball community for his consistent contributions to the game he loves. 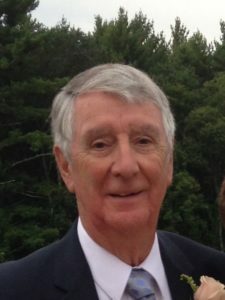 His Lewiston teams twice won the Western Maine tournament and his forty -year run as Lewiston coach is one of the longest in Maine history, 1958-1998. He has directed Hoop Camp in Casco for over 45 years and has impacted thousands of young players as lecturer, coach, and mentor. Fern was honored with the MABC Contributor Award in 1992.